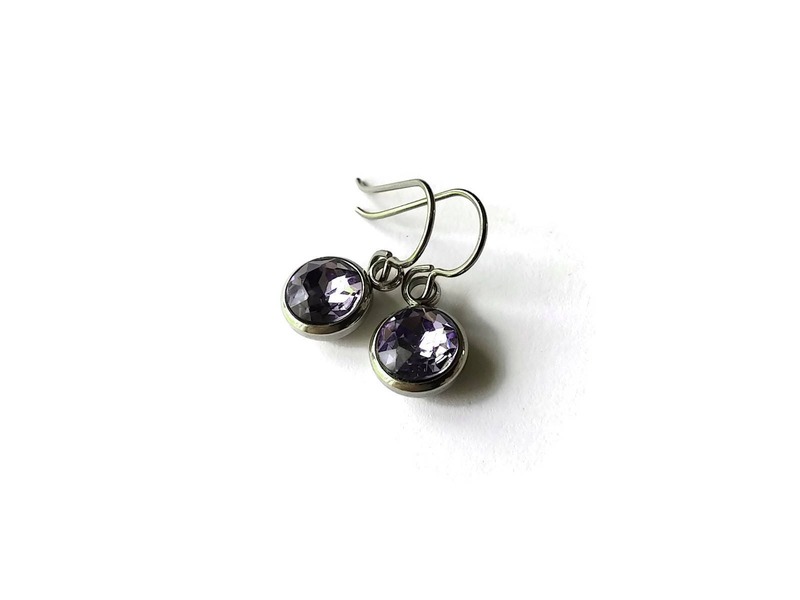 Very fashionable with this purple rhinestone faceted pendant. 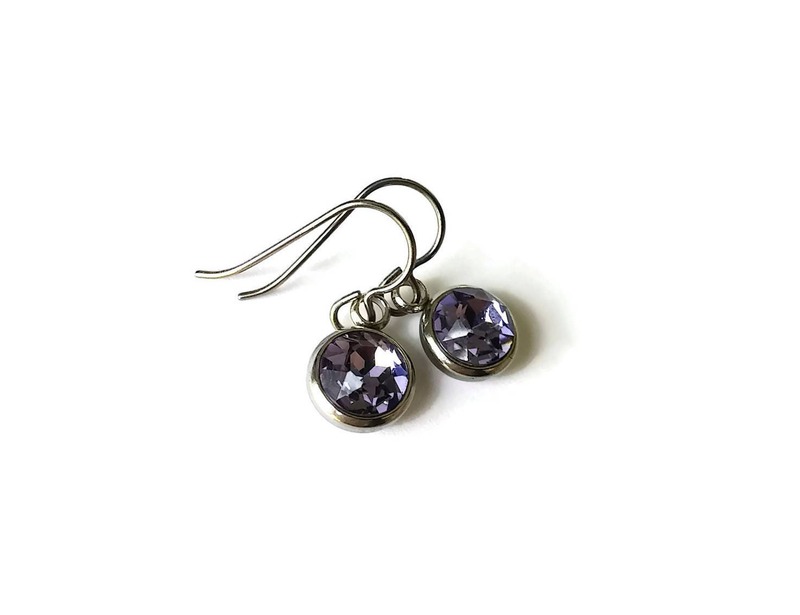 These dangle earrings are extremely easy to wear. I've assembled with pure titanium ear wires. Titanium is 100% hypoallergenic and will not produce skin irritation or discoloration. Perfect for sensitive ears. 304 Stainless steel pendants measuring 10 x 17mm. Rhinestone 9mm.